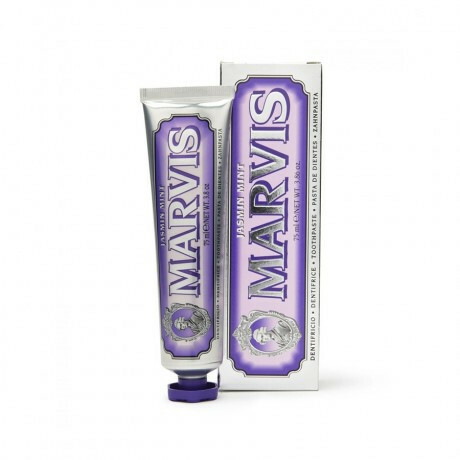 Uniquely flavoured toothpaste; sweet, floral notes of jasmine combine with a mint base to create a delicious, sweet flavour, and a long lasting pleasurable taste sensation. The formula containing Fluoride helps prevent tooth decay, fights tartar and plaque and keeps breath fresh all day long. 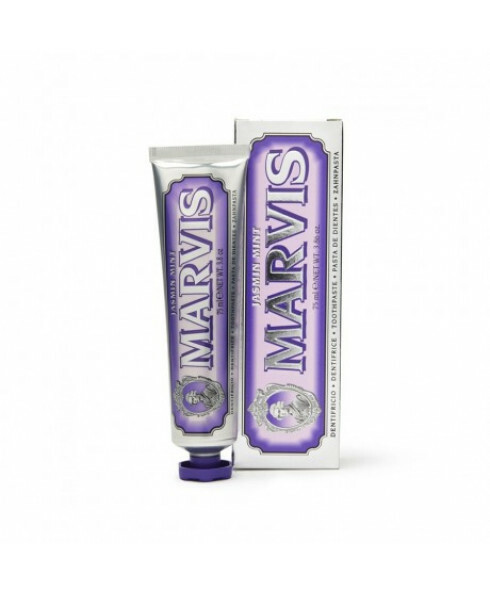 Housed in the distinctive colourful Marvis tube, with elegantly sculpted cap, this fantastic tasting, rich and creamy toothpaste will leave your teeth throughly clean and protected. Use: Proper brushing at least twice a day, in combination with the use of a mouthwash, is the first step to ensure healthy teeth and gums. It takes at least 2 minutes of brushing for the effective removal of plaque. To prevent damaging tooth enamel and irritating the gums, use a toothbrush with soft or medium bristles and replace it every 2-3 months.